Brother Greg Kline ’07, might not have taken the traditional path to becoming a Sigma Chi, but when you’re instilled with Sig Chi Values from early age, you’re far from traditional. “Though I am a Penn State Graduate, I did not have the honor of being part of the Sigma Chi experience in the traditional sense. I was the first person to be honored with being initiated as a "Sig" via the "Non Student Initiate" program. While at Penn State, I had to work, many semesters I had to work full time just to make enough money to go to school the next semester. Some summers I would go home to work so I could come back in the fall or stay at Penn State and work. So I didn't have the the chance to rush or pledge. Why did you join Sigma Chi? It was the best of the houses that rushed me, I liked the people I met and enjoyed the relationships with those people. It was a good house on campus. How were your experiences living in the chapter house? Very good, we had a chapter house and had an overflow at an annex house downtown. We rotated living in the chapter house and the annex house so everyone would get a chance to live in the chapter house, which was nicer. Penn State had good housing. 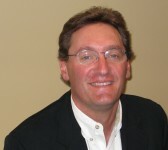 Thanks to Frank Platt ’79 for participating in this Q&A. Why did you join Sigma Chi as an undergraduate? 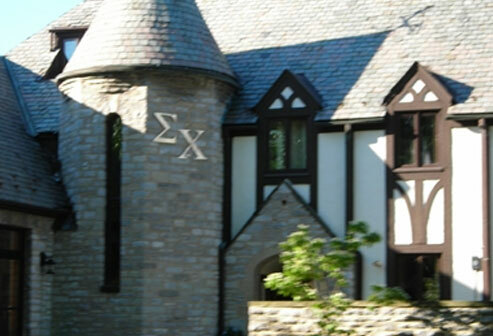 The attraction to Sigma Chi as an undergrad was the brotherhood. As a rushing freshman, you get a view of numerous fraternities, but the camaraderie and friendship at Sigma Chi stood out as something special. Once I became a brother, the ideals of Sigma Chi were easily embraced and opportunities to grow were endless. What is the funniest memory from your Sigma Chi days? In the three and a half years of my undergrad experience, there were too many funny memories to mention. One in particular was our participation in the Homecoming parade with the Delta Gamma sorority. We build a replica of Beaver Stadium with the Nittany Lion seated at one end, dumping out a cereal box of Syracuse Orangemen in the bowl and eating them. I am not sure if the lion looked more like a rat or a feline. We jammed one of the guys in the float to operate it. Around the float, we carried signs proclaiming our status as the number one team, and held a three foot replica of a hand, in the number one position. Somehow we lost the hand replica that Friday, but in watching the game on TV the next day, it was being passed throughout the student section. 2017 © Alpha Chi House Corporation.